The LAB offers a variety of physical therapy and wellness services to satiate your specific preferences. Behold our course menu. Our bread and butter. Treatment revolves around faulty positional and movement patterns that are assessed and reassessed from Day 1 to finish. The LAB facility houses treatment stations, movement analysis dock and a state-of-the-art, medically oriented gym that is monitored 24/7 by doctors of physical therapy. Doctors always onboard, no M.I.A.s. Whether you're grinding in the office, recovering from an injury or straight out of surgery, The LAB designs an exercise program targeting specific muscle groups to either meet your personal goals or counterbalance the kinks that come with the daily life. Licensed hands only, no machine substitute. 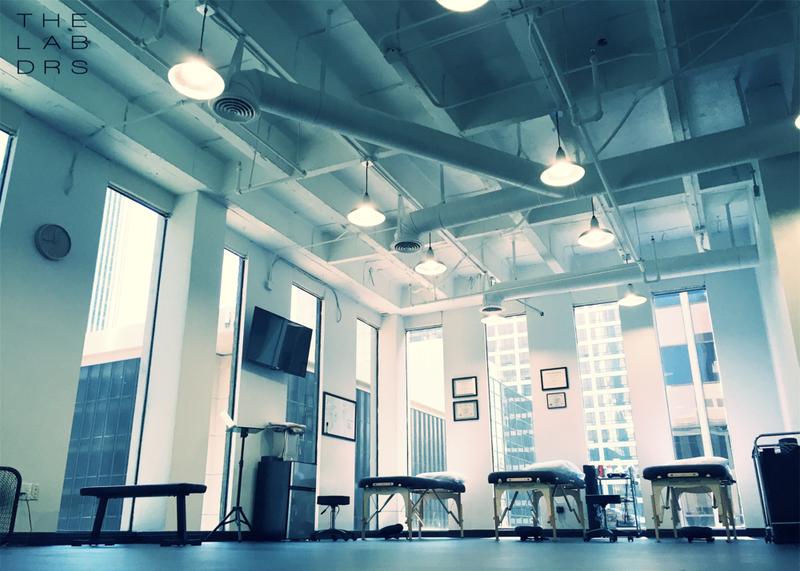 Targeted massage, joint alignment, and manual stretching, combined with ultrasound and/or electric stimulation to give you the ultimate feel-good aftermath. Bringing it all together. You and the doc will plan on how to modify or correct everyday activities to make sure you stay biomechanically friendly, integrating everything taught at The LAB. Long-term results is what it's all about.